This Q-Connect 3/4 cover expanding pocket is made of durable 180 micron PVC to protect your A4 documents. The pocket expands up to 20mm for extra document capacity, which is ideal for projects or presentations. 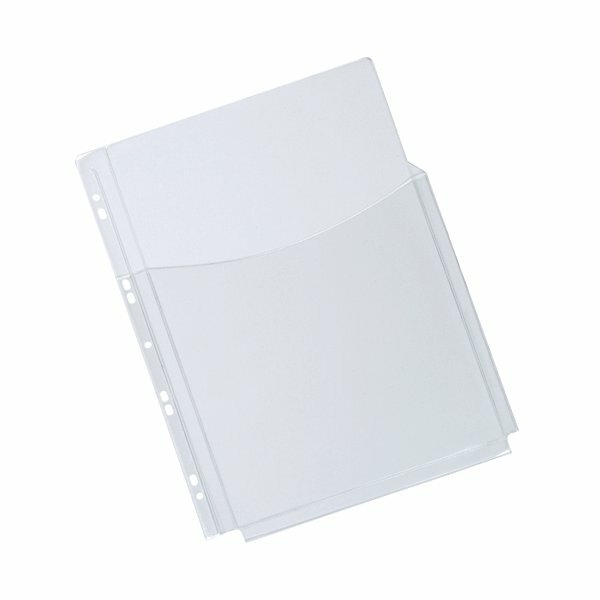 The multi-punched side strip allows for easy and secure filing in standard lever arch files and ring binders. This pack contains 5 pockets.